Ages 18 months+ 11 oz. 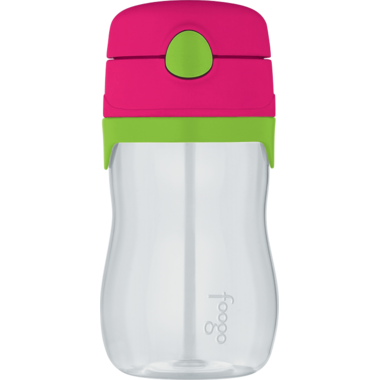 This Foogo Tritan Straw Bottle is the perfect water bottle for children ages 3 years and up. Very easy to clean; does not leak. Great purchase! Bought this bottle before and buying more after using it for a while and it's the best bottle so far for my toddlers. Surprisingly, the bottle is pretty sturdy and easy to clean. The best thing is that my kids can pop open themselves with that one click and made it even more enjoyable to use (for them).